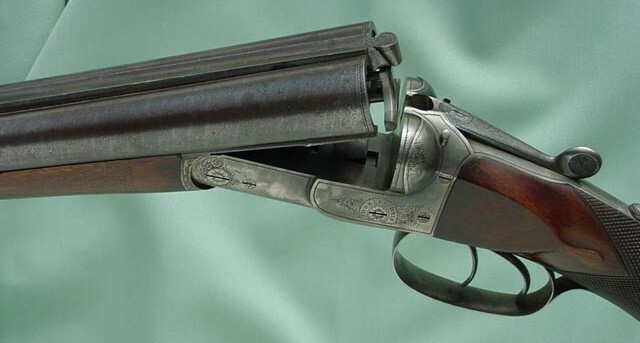 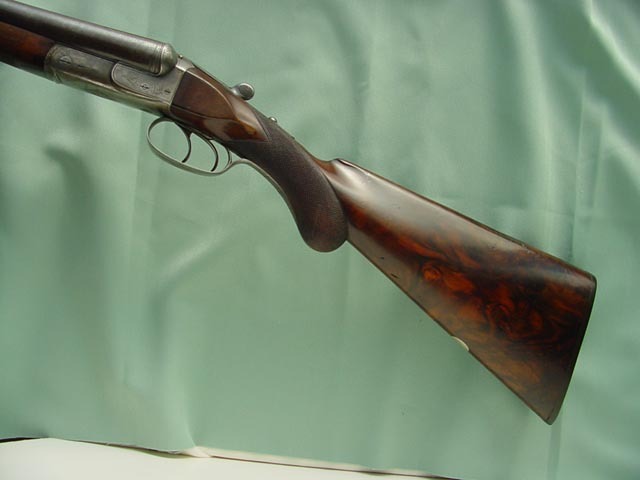 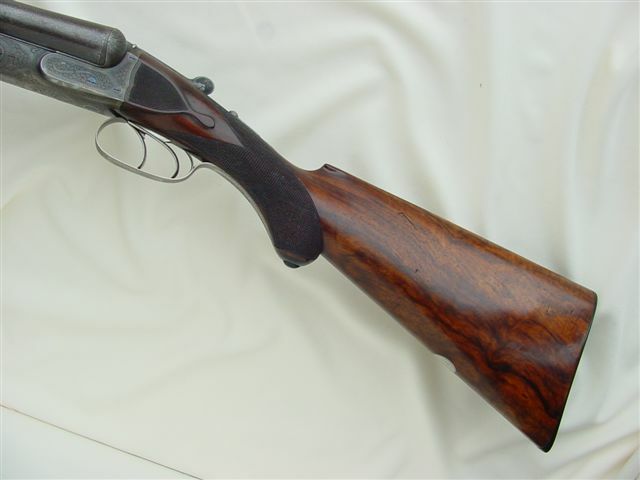 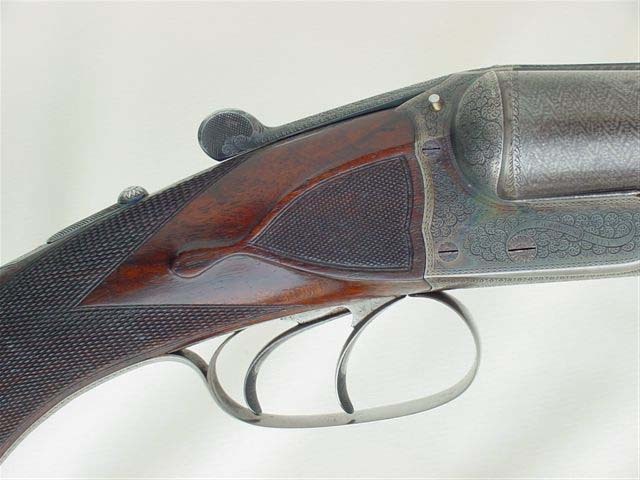 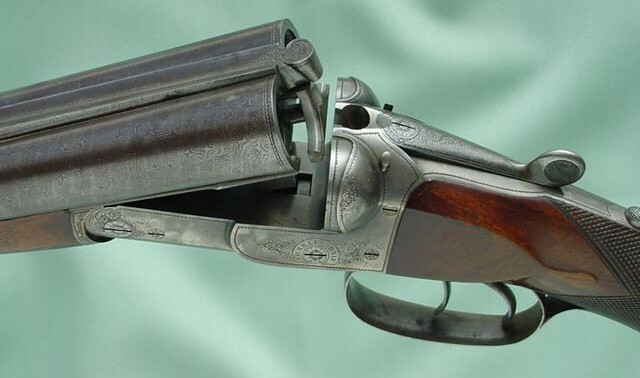 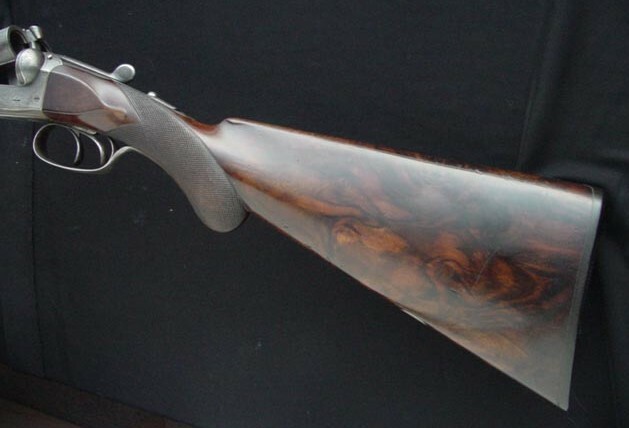 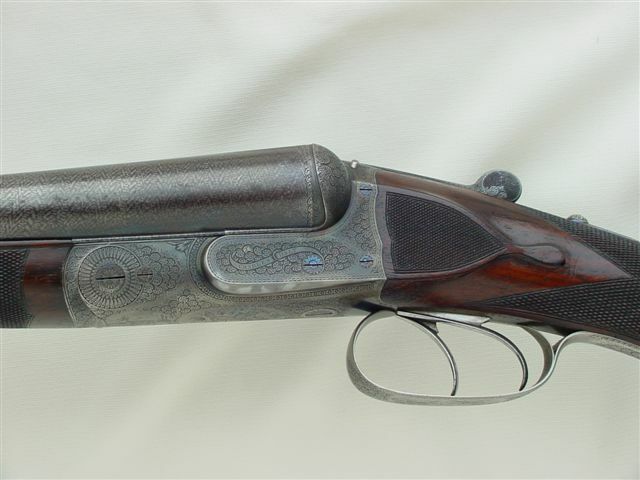 Prussian Daly SxS Shotgun by Lindner. 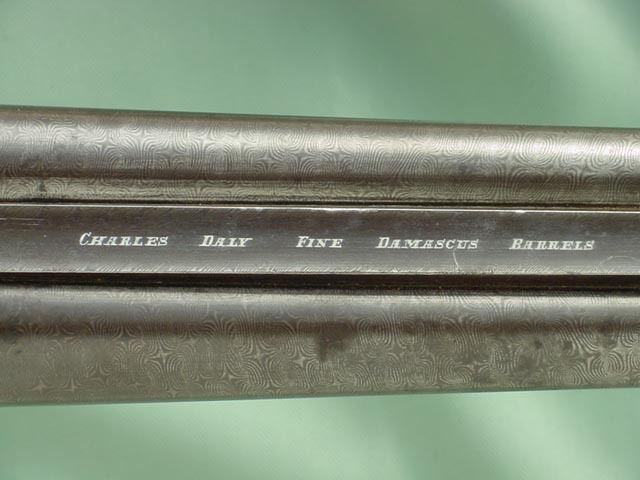 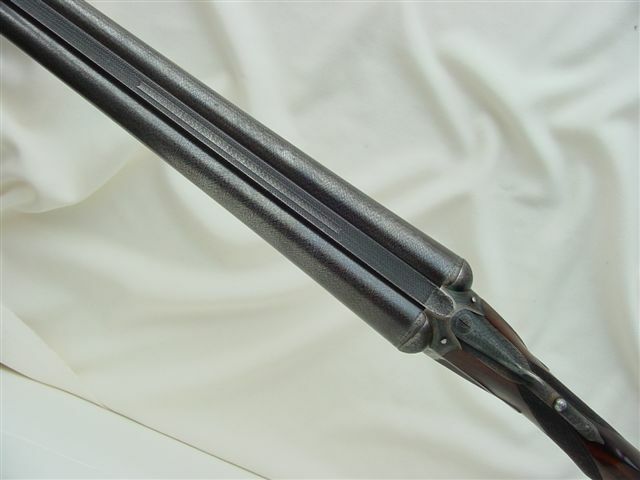 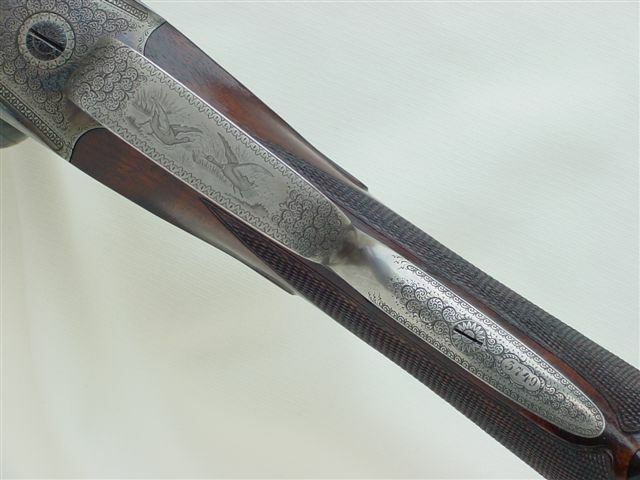 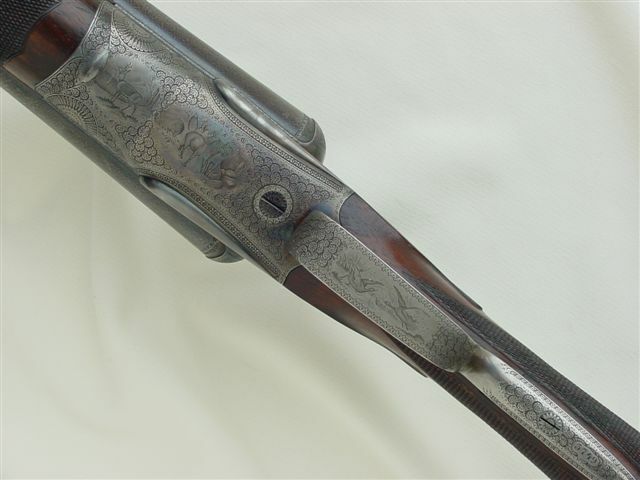 12 Gauge, 31 inch barrels marked: "CHARLES DALY EXTRA FINE DAMASCUS BARRELS DIAMOND QUALITY". 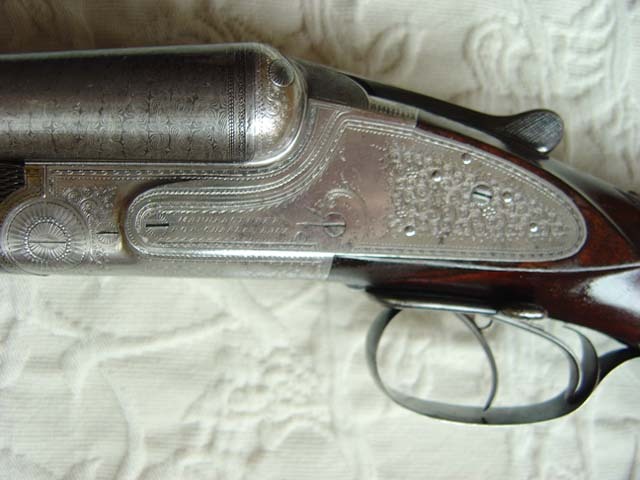 Diamond Regent Grade with Prussian markings, 12 gauge x 12 gauge x .30-30 WCF. 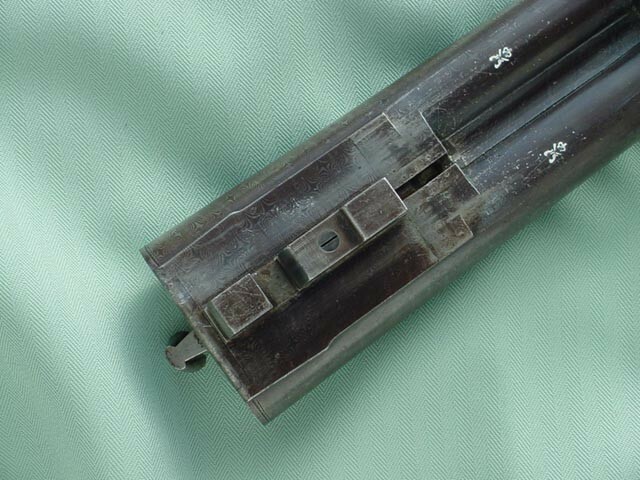 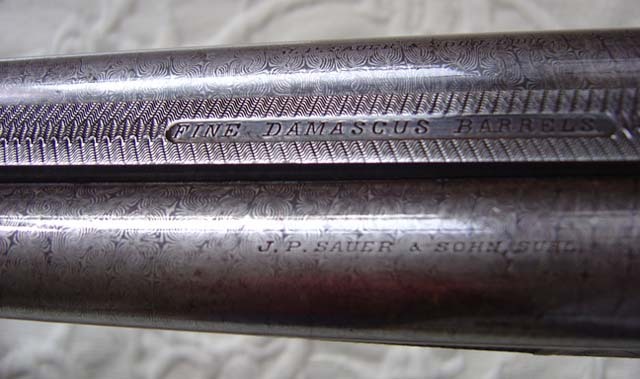 26 inch shotgun barrels are marked "Fine Damascus" and are choked mod and full; the rifle barrel is Krupp fluid steel. 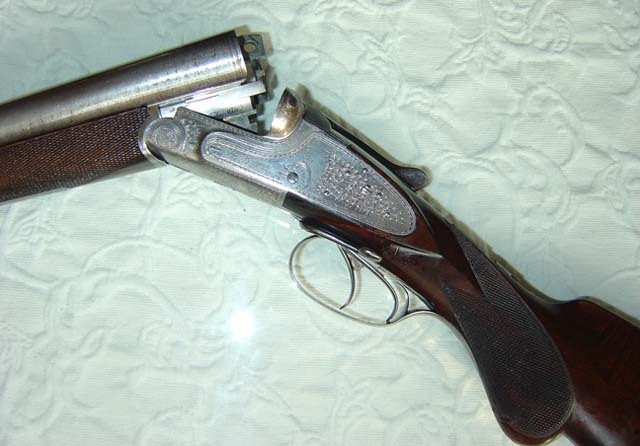 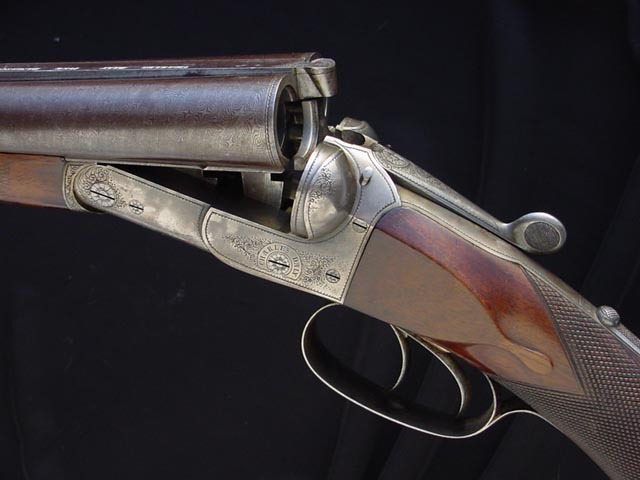 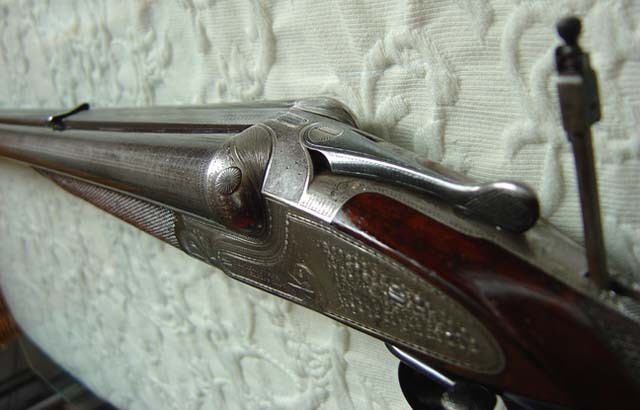 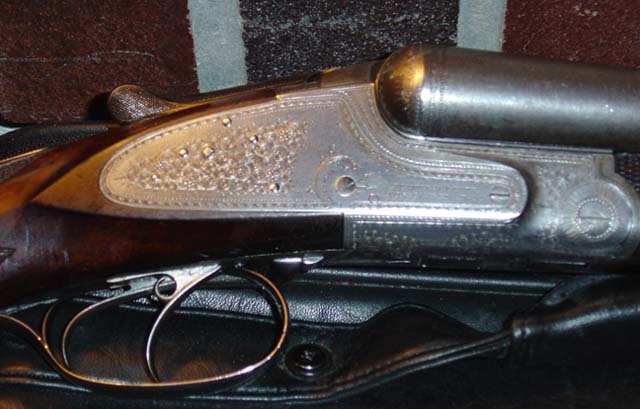 True sidelock with crossbolt, cocking indicators, folding tang sight, cartridge trap and separate lever for cocking rifle barrel. 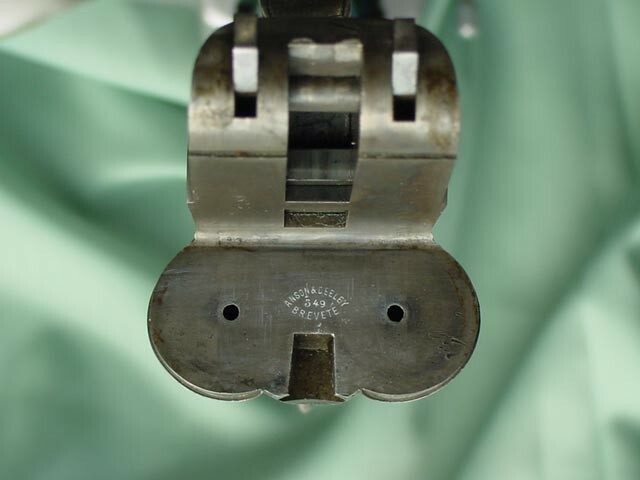 Many thanks to the Dr Ivo Martinovic for the pictures.